The experts at Edmunds have said the Ram 1500 “excels as a daily-use pickup” and offers a “roomy and well-appointed interior.” To experience these benefits for yourself, check out our selection of Certified Pre-Owned Ram 1500 models. 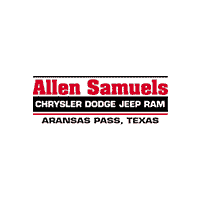 Why Buy a Certified Pre-Owned Ram 1500 at Allen Samuel CDJR? To start, our CPO program is more exclusive than other brands. Models first undergo an extensive inspection, then we add a 7-year/100,000-mile powertrain warranty and a 3-month/3,000-mile maximum care coverage plan. Many of our Certified Pre-Owned models are even offered at deep discounts. On top of that, BusinessLink members get big discounts and perks when buying for a commercial fleet. Apply for financing before you arrive at Allen Samuel CDJR of Aransas Pass to obtain pre-approval on a low-interest auto loan, or contact us with any questions.